Tsering Woeser Tibet/China Tsering Woeser (1966, Lhasa) is a courageous Tibetan writer, who offers unique perspectives on the complexities of Tibet today. The daughter of Communist Party members, her father an officer in the People’s Liberation Army, Woeser was educated, and writes, in Mandarin Chinese. Following literary studies, she was posted to Lhasa as editor of the journal Tibetan Literature and began to uncover her true heritage. In Tibet Above (1999), Woeser published poems exploring her Tibetan identity. 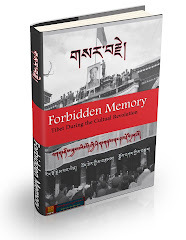 Her next book, Notes on Tibet (2003), addressing cultural and political issues more directly and critically through portraits of Tibetan lives, was banned; she lost her job and all social benefits but resolved to use words as her weapon and to record Tibet’s past and present. Moving to the greater anonymity of Beijing, she used the internet to publish increasingly explicit commentaries on the arrest and torture of Tibetans – the appealing literary qualities of her writing conveying her message all the more effectively. Woeser’s concern with Tibetan culture continued in articles on contemporary painting, film and literature, and in groundbreaking books including Forbidden Memory: Tibet During the Cultural Revolution (2006), which combines her father’s photographs of the period with eyewitness accounts she gathered through interviews. 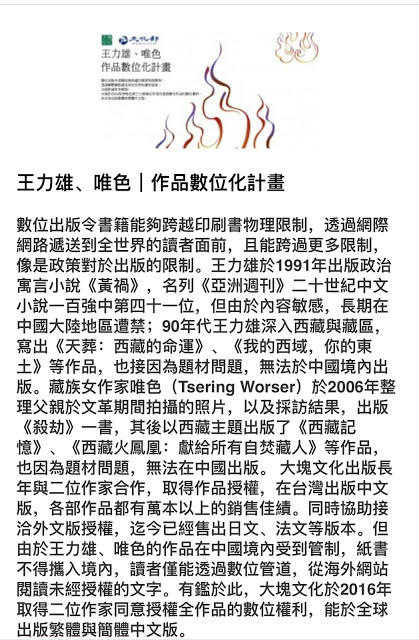 During the mass demonstrations against Chinese rule and violent crackdown in 2008, Woeser’s blogs became the main source of information for the world. Relaying details from her contacts in Tibet, she posted daily reports on the protests, human rights abuses and extrajudicial killings. Woeser has undergone house arrest and harassment, her websites have been closed down, her movements are restricted and her life under constant surveillance, but she continues to write about Tibet from inside China. Woeser is honoured for her courage in speaking for those who are silenced and oppressed, for her compelling combination of literary quality and political reportage, for recording, articulating and supporting Tibetan culture, and for her active commitment to self-determination, freedom and development in Tibet.